Jaguar has today confirmed that the company will launch the remarkable C-X75 Concept car as an exclusive hybrid supercar. The Jaguar C-X75 will become the British marque’s most advanced model to date. It will offer performance on a par with the fastest production cars on the market, while adopting cutting-edge technology that offers remarkably economical running. Jaguar expects this hybrid supercar to deliver incredibly low CO2 emissions of less than 99g/km while being able to achieve in excess of 200mph. Project C-X75 will be the ultimate expression of Jaguar design and engineering innovation. This high-performance hybrid supercar will stay true to the initial concept design study that made its debut at last year’s Paris Motor Show, while fulfilling requirements that allow it to be homologated for road use. In an unprecedented move, Jaguar C-X75 will be developed in association with Williams Grand Prix Engineering Limited/Williams F1 who will provide their engineering expertise in areas including aerodynamics, carbon composite manufacture and hybrid technologies. This association will be at the leading edge of British automotive engineering and innovation. Today’s announcement also marks a new milestone in both companies’ histories as Jaguar Land Rover and Williams collaborate for the first time to produce one of the world’s highest performance and environmentally sustainable supercars. The production of Jaguar C-X75 will create more than one hundred highly-skilled jobs in the UK. ‘The engine’s compact size allows it to be mounted low in the car for optimum weight distribution and to retain the concept’s stunning silhouette. This will make the Jaguar C-X75 a bona fide hybrid supercar capable of silent electric running with an extensive EV range in excess of 50km,’ explained Bob Joyce, Group Engineering Director, Jaguar Land Rover. The C-X75 will be one of the fastest production cars in the world when its motors and combustion engine combine, with a sub-three second 0-60mph time and a top speed in excess of 200mph. Crucially, this performance will be generated alongside incredibly low emissions, with a target of less than 99g/km CO2, thanks to Project C-X75’s lightweight construction and cutting-edge powertrain technology. The Jaguar C-X75 will redefine the customer experience and will set new standards in sales and after-sales services that will be recreated across the range in the future. Only 250 examples will be built, each costing between £700,000 – £900,000 depending on market and local taxes. I hope the Jaguar C-X75’s more successful than the XJ220… However, at least it’s a proper supercar. Sadly, I don’t like the C-X75’s styling when compared to that of the XJ220. The Jaguar DNA is far more flowing and distinctive in the XJ220, whereas the C-X75 has too much visual similarity with Lotus’ and McLaren’s offerings. However, it is good to see that beneath the skin lies some innovative engineering which involves input from specialist companies such as Williams F1. 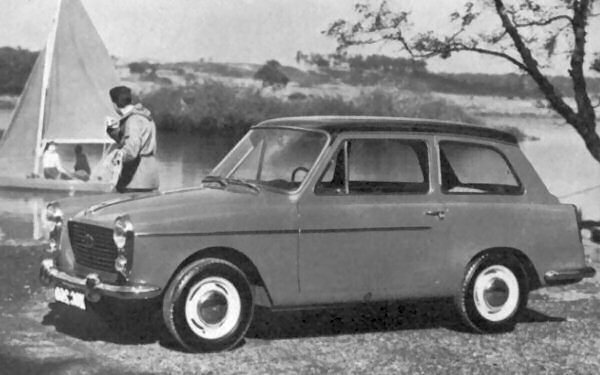 That’s a very good point about Rover gas turbine cars. Hopefully, there will be a chance for readers to see them during AROnline’s 10th Birthday Party at the Heritage Motor Centre in Gaydon on the 16th July, 2011. I think it sounds like this hybrid powertrain is related to the one in the Limo Green project. I wonder whatever happened to that – did it morph into this or is it still active? I reckon that, for JLR at the moment, the old adage success breeds success seems to apply. The company is finally making decent profits – £1 billion plus per year – and Tata Motors is reinvesting this back into new models and cutting edge technology. The Evoque can only add to the balance sheet. Greater volume with an X-TYPE replacement must be the goal for the Jaguar division. I would still dearly love to see JLR introducing a Rover R8 200/400 replacement – priced between, say, £18k-£25k, such a model would bring some style, quality and innovative powertrains to the C-segment. This will be a lovely poke in the eye for the Germans. I couldn’t agree more – some Rovers priced between £15k and £30k would be good. This looks like a smart move: dip your toe in the water with experimental technology but do it (partly) at the expense of the customer. Good luck to everyone involved – the car looks great, the technology is innovative and it should provide a terrific “halo” effect for the company as a whole. Let’s hope there’s a diesel version for towing. Nobody ever thought that Jaguar was going to build the thing, but I’m glad they are. It’s a gorgeous supercar and nobody does that any more, not even Pininfarina. My feeling on getting Williams on board: why doesn’t eveyone apply British F1 engineering nous to their cars? I thought that Jaguar was already planning a new model to slot in below the X-TYPE replacement and rival the BMW 1-Series. 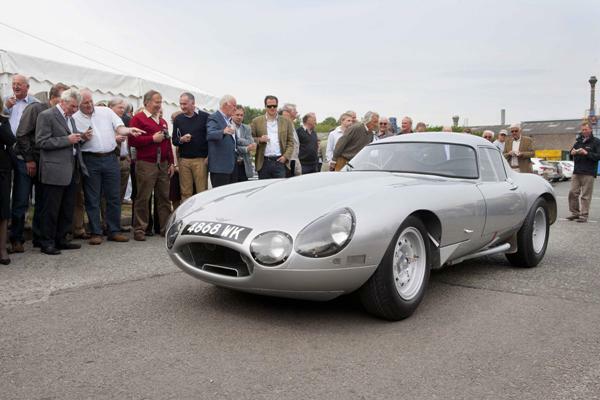 The C-X75 looks great and harks back to the XJ13 lightweight car – it’s a gorgeous design and, if you look at the lines, especially from B-Pillar onwards, you see the visual references. Oh, and I’d just add, anything Aston Martin can do, Jaguar can do better… Na, na, na, na, nah!! The Jaguar C-X75 is just a pointless vanity project – if Jaguar is serious about hybrids, they should get the Indica EV team to create an electric X-TYPE replacement, not a white elephant. I am rather surprised that the Metro 6R4 (Williams-engineered remember?) XJ220 6 cylinder connection wasn’t played up by Jaguar’s PR team. Not really, it’s not like Jaguar has come up with a supercar for the sake of coming up with a supercar. The original C-X75 Concept was designed and engineered to make a point and change perceptions within both the industry and the wider public. The message was: Jaguar is back, Jaguar is fresh and Jaguar can come up with tech along with the rest of them. Jaguar wasn’t expecting the response they got at the Paris Motor Show and the company was not initially convinced that any Jaguar supercar would be profitable. However, somewhere along the line, someone has done the feasibility studies and the bean-counters have worked the numbers. Actually, to be honest, judging by the number of enquiries at dealerships, marketing have got an easy job. This will be a halo model which can prove that Jaguar has got the beans and the confidence to shout about what they’re good at. My main worry is that Frank Williams might pass on these developments to BMW… However, I’d like to think that he is too professional to do a Tom Walkinshaw. The C-X75 is such an exciting car. The initial production models will rely on an ICE for range extension but, if the turbines can ultimately be made feasible and reliable, then the packaging implications for all E-REVs in the future are immense. Such a technological leap is crucial too – oil is only going to get more expensive in the future (a shame for those of us with a classic habit), whereas the price of electric cars can only come down. Technology like this means that the range from a charge can only go up and, hence, that a major barrier to the acceptance of electric cars will have been surmounted – range anxiety will be a thing of the past. Welcome to the future, everybody. The tech has always been there but in this format it’s pretty immature and Jaguar are working with Bladon Jets to continue to develop it. Tata Limited acquired a 20 per cent stake in the company last autumn. Here’s the Press Release which was issued at that time. 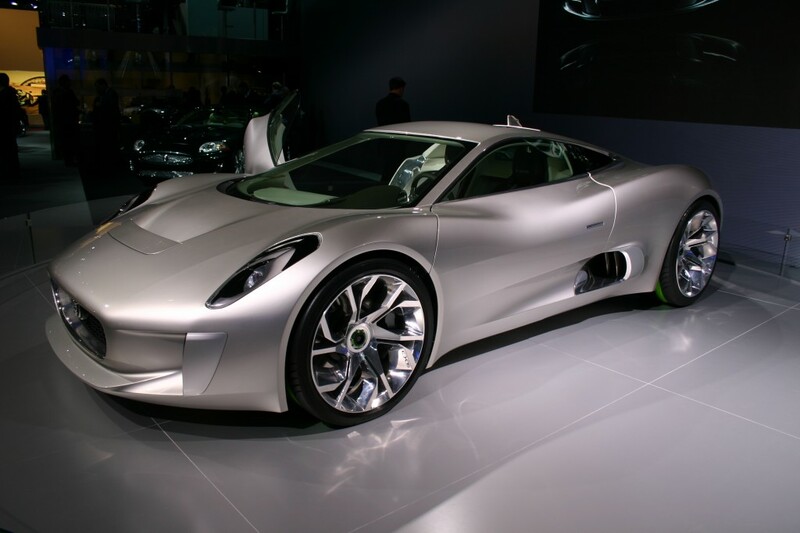 Is the Jaguar C-X75’s hybrid powertrain the design being worked on by Lotus Engineering? Jaguar were looking at using this design to power the XF and XJ models. This halo idea is Tata Motors stating they have arrived in the motor world just like VW did with the Bugatti – we can do better than you. Don’t be surprised to see a Jaguar-badged engine powering the Williams F1 car in the future – Tata Motors mean business. I thought McLaren had already built a 200mph British supercar. Is this a case of Not Invented Here? Yes they have, but not with a hybrid powertrain. I’m happy to see the C-X75 heading into production and the collaboration with Williams is a good move as well. I wish them all the best and hope the asking price won’t price the car out of the market. Then again, these cars will likely go to collectors rather than to people who will use them on a regular basis. Are you mad? 🙂 There were enquiries at dealerships as soon as this was announced. That Jaguar badge really does seem to count for a lot around the world these days – they’re doing well and these cars are going to sell. I love how the rear end evokes memories of the XJ13. That was definitely the inspiration for this machine.